Until fairly recently in historical terms, most ordinary Cheshire dwellings were timber framed, infilled with either wattle and daub or handmade bricks, and thatched with reeds or straw. Only the most important were made of expensive stone, such as a handful of larger houses, churches and castles. Early churches crop up all along the Sandstone Trail. 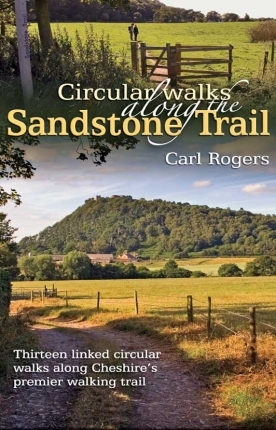 They are important local features and part of the Cheshire sandstone ridge’s local distinctiveness. 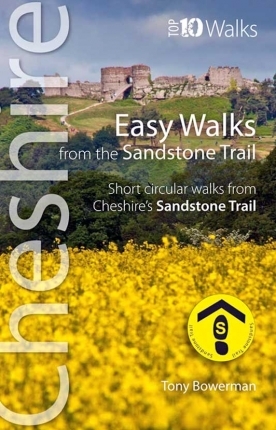 From north to south, interesting churches include: 12th-century, Norman St Laurence’s Church, halfway up Frodsham Hill, founded on the site of an earlier Saxon chapel; Victorian St John the Evangelist at Alvanley; St Helen’s at Tarporley, a 15th-century church on an earlier site; Holy Trinity Church at Bickerton, built in 1836 as a chapel of ease to St Oswald’s at Malpas; Old St Chad’s Chapel at Tushingham, isolated in the fields ever since it was bypassed by the new turnpike road in the 18th century; and lovely Georgian St Alkmund’s Church, in Whitchurch. 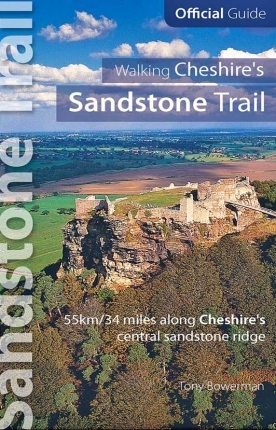 The most outstanding reminder of Cheshire’s Norman past is undoubtedly Beeston Castle on its isolated crag at the heart of the sandstone ridge. It’s a prominent Cheshire landmark. Built in the 1220s by Chester’s Earl Ranulph III, Beeston Castle incorporates Saracen features picked up during his time at the Crusades. Few people today realise that the outer bailey’s curtain wall overlies the prehistoric ramparts of an Iron Age hillfort. Within the inner bailey is the deepest historic well in England, said to conceal Richard II’s ‘lost treasure’. Both Roundheads and Cavaliers later besieged Beeston Castle during the English Civil War. Beeston Castle has been a popular local venue for fetes and day trips for centuries. Today, it’s owned by the Tollemache Estate but cared for by English Heritage. 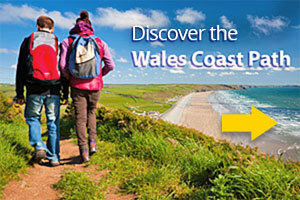 Facilities include the ‘Castle of the Rock’ exhibition, gift shop and toilets. There is also an innovative events programme including medieval re-enactments. The panoramic view from the summit reputedly spans seven or eight old counties, and visitors may borrow binoculars from the ticket desk. The summit also makes an ideal spot for summer picnics. 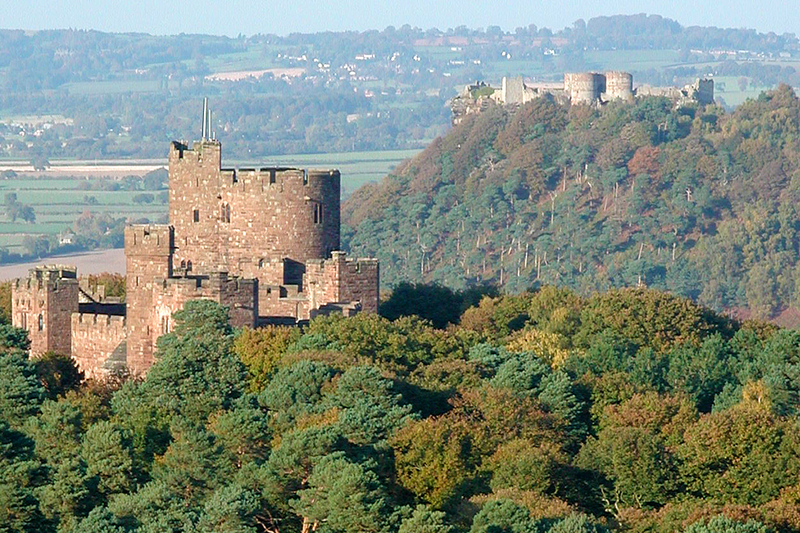 Nearby is Victorian Peckforton Castle. An authentic replica of a 13th century fortress, it was built for John (later 1st Baron) Tollemache between 1842 and 1851 for the then vast sum of £67,847 9s 7½ d. Its celebrated architect, Anthony Salvin, had worked previously on Windsor Castle and the Tower of London. The castle has since appeared in an episode of the BBC TV series, ‘Doctor Who’, and in the 1991 film, ‘Robin Hood’, and is now a luxurious hotel and restaurant.